Home>All Posts>Awareness>First group visit at Ghatkopar’s visitor centre! Arancha and her university friends visited the preschools in Khetwadi and Govandi, and spent time at the career fair organized by adolescent girls. 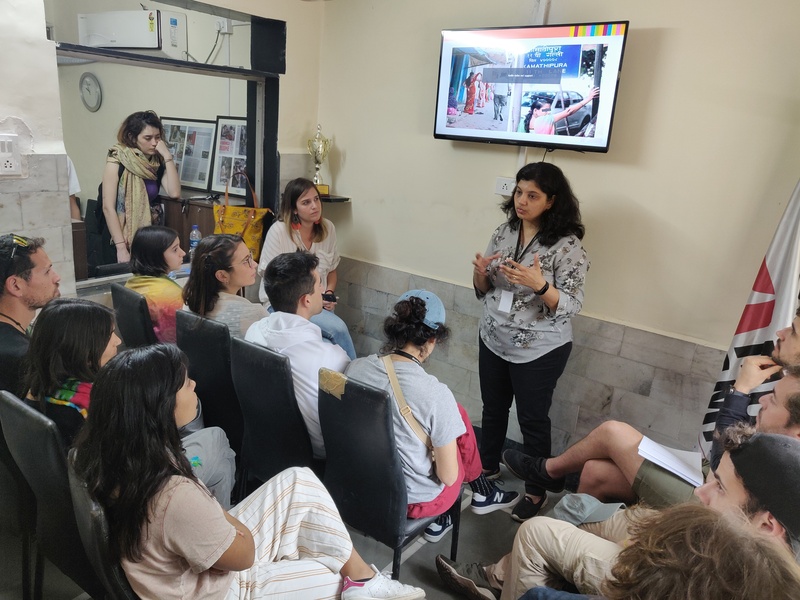 A visitor’s centre recently opened in Ghatkopar, had its first group visit by Arancha and her university friends on 16th January, 2019. 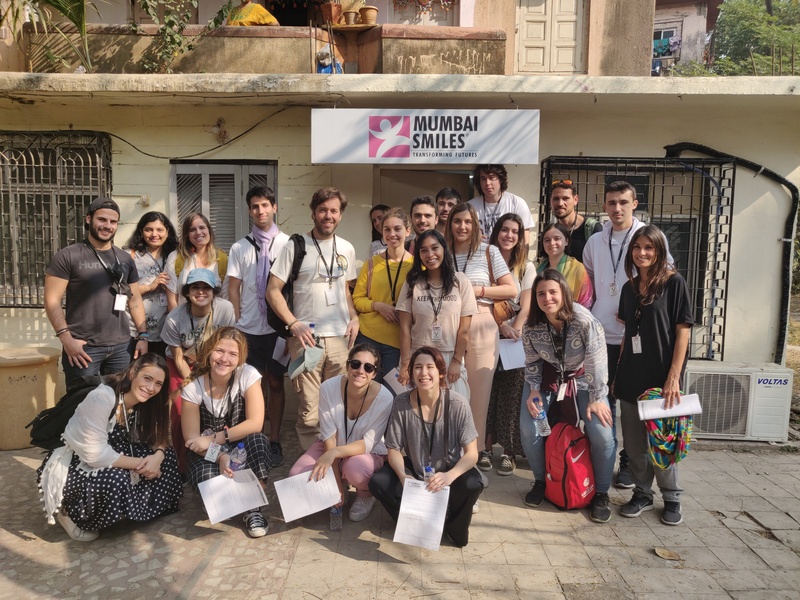 Visiting India for the first time, our guests wanted to spend a day with our beneficiaries and witness our projects’ on ground impact. Our guests were introduced to Mumbai Smiles Foundation’s history, projects and achievements. 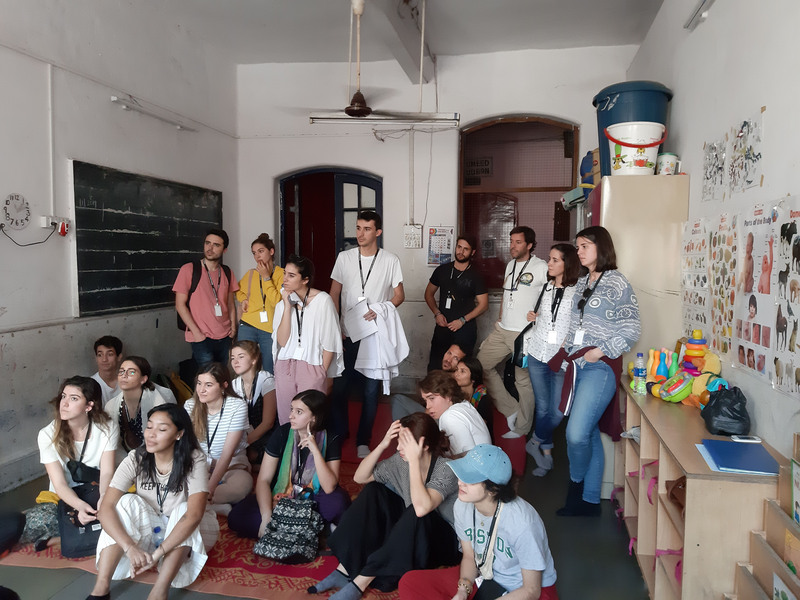 The one day visit included a trip to the preschool centres in Khetwadi and Govandi, where they interacted with the project co-ordinator and preschool teachers to learn about the neighbourhood, the quality of life and the hardships faced by these communities. Our guests later visited a Career Fair organized by Mumbai Smiles Foundation for adolescent girls. The career fair was arranged to provide guidance and support for secondary school girls to help them pursue their ambitions. Thrilled to meet our guests, the girls openly interacted with them, sharing their dreams and aspirations for leading a fruitful life. Our guests impressed with the girls’ hopes and desires, wished them all the best for a bright and prospering future! We look forward to another visit from Arancha and friends. Next PostBeneficiaries interact with Spanish students through handwritten letters!